Photographic Society of America (PSA) is a worldwide non-profits interactive organization for any individual or camera club in the world who is interested in photography, be they are casual, serious amateurs or professional photographers. PSA was founded in 1934 to "Promote the Arts and Sciences of Photography and to further public education therein". The organization has members in over 60 countries of the world. 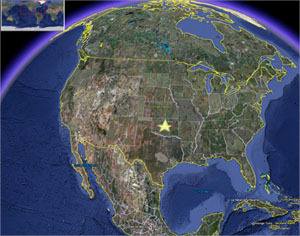 PSA Headquarters is located in Oklahoma City, Oklahoma, USA. PSA offers individuals, camera clubs, and councils of camera clubs a wide variety of activities: a monthly magazine, photo and digital competitions, study groups via mail and the internet, how-to programs, an annual conference and a large variety of activities and services. There are seven Divisions of interest (Pictorial Print, Color Projected Image, Nature, Photo Travel, Photojournalism, Electronic Imaging, Stereo) within PSA that offer more than one hundred specific services and activities. These include courses in photography, technical information services; instructional slide sets, DVDs and videos; critique and evaluation services; group workshops; national, regional and local photo seminars; print, slide, and digital competitions and more.